Get rare look at ‘red planet’ ..
MTSU on WGNS: New research ins..
NINGBO, China — Middle Tennessee State University renewed Friday, July 20, an academic partnership that allows actuarial science students enrolled at a Chinese university to finish their classwork and earn their degree at the Murfreesboro campus. McPhee touted one such success, singling out Yiting Dong, who passed her certification exams by the Society of Actuaries before receiving her undergraduate degree from MTSU. It is only the second time an MTSU student has achieved this honor before graduation. Yiting is set to graduate again from MTSU in August, this time earning a master’s degree in professional science with a concentration in actuarial science. Shao said students in this joint program are poised for careers in insurance, finance, investment and banking, as well as government and social agencies. Ningbo, founded in 1986 and with an enrollment of about 25,000 students, is located in the eastern coastal province of Zhejiang, next to the East China Sea. MTSU has about 1,500 international students, with about 300 hailing from China. 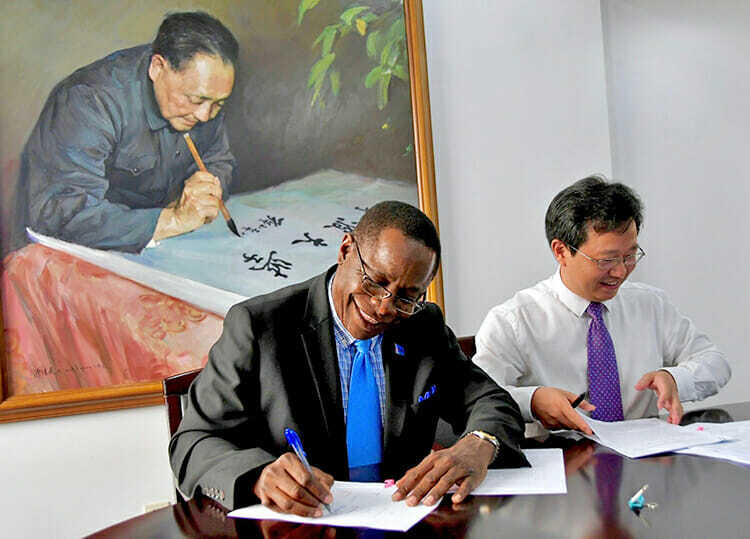 Increasing international undergraduate and graduate enrollment and joint research opportunities, particularly in China, is a strategic focus of the university, McPhee said. Friday’s ceremony took place as McPhee was leading a delegation of Nashville-area schoolchildren, teachers and parents in country for two weeks as part of a reciprocal educational exchange between MTSU and Dongcheng Educational Group.